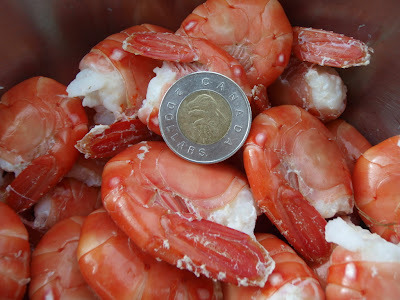 A few spot prawns fresh out of the trap with heads just removed for cooking. We could cook with the heads on, but it takes more batches. 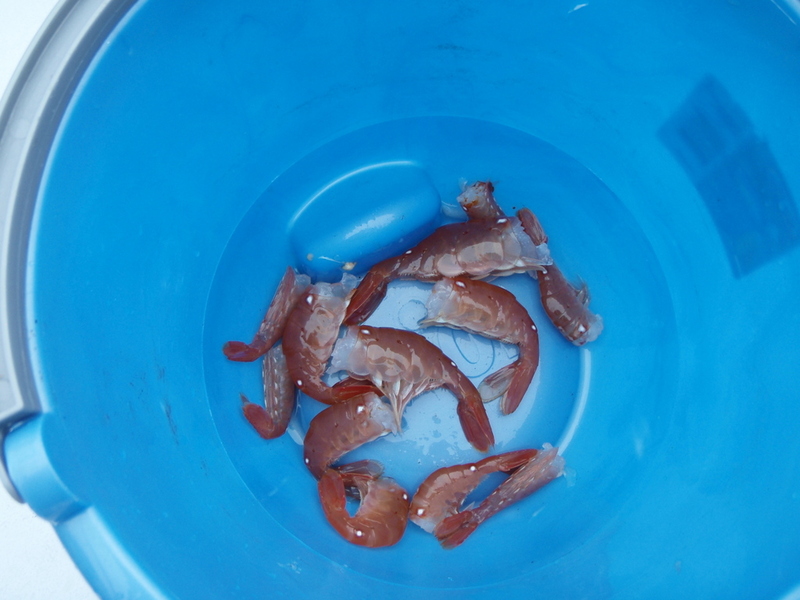 Prawns just out of the cooker. 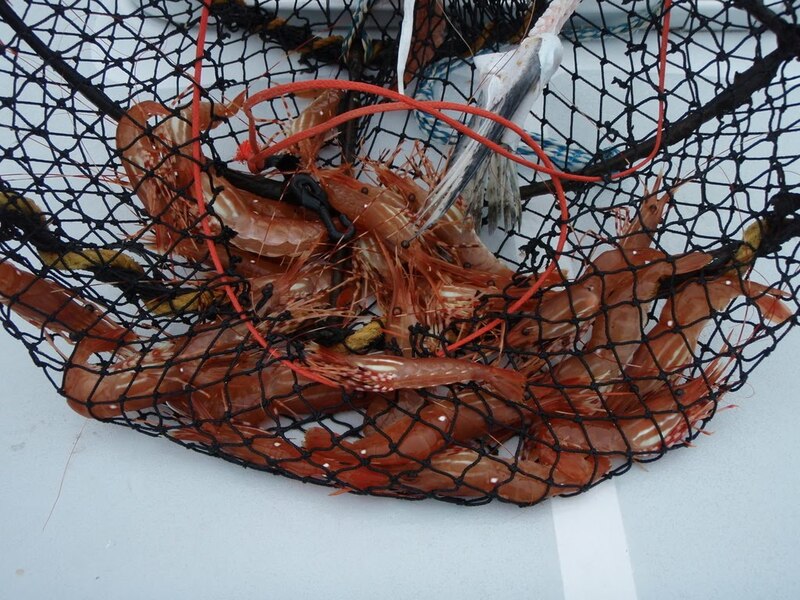 Prawn trap with a nice little catch of spot prawns.